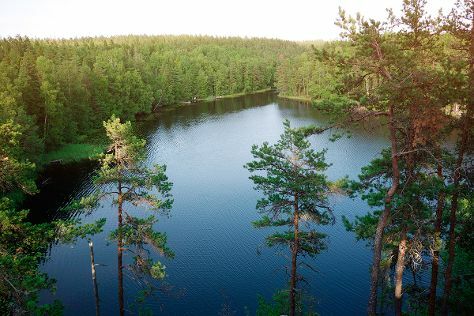 Venture out of the city with trips to Nuuksio National Park (in Espoo), Hyvinkaa Church (in Hyvinkaa) and Kotka (Beach Mansikkalahti & Sapokka Water Garden). Pack the 6th (Sun) with family-friendly diversions at Linnanmaki Amusement Park. There's lots more to do: take in the architecture and atmosphere at Rock Church, don't miss a visit to Senate Square, take in the spiritual surroundings of Uspenskin Cathedral (Uspenskin Katedraali), and enjoy the sand and surf at Aurinkolahti Beach. For where to stay, other places to visit, maps, and tourist information, read Helsinki trip itinerary maker app . If you are flying in from United Kingdom, the closest major airport is Helsinki Vantaa Airport. In January in Helsinki, expect temperatures between -3°C during the day and -9°C at night. Finish your sightseeing early on the 14th (Mon) to allow enough time to travel back home.